Sleeve Labeling machine suitable for bottle, etc. It’s a high speed of sealing machine and high equipment sealing. The complete process is visible & is furnish . The automatic process of shrinkable bottel . 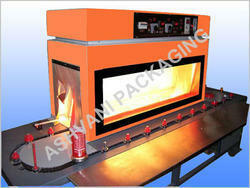 We are provide very high quality of heat-sealing machine and branded Sleeve Shrinking machine. It’s very easy used. To retain our goodwill as the competent manufacturer, trader, retailer, distributor, importer and supplier, we are offering a quality assured Heat Shrink Sleeve Labeling Machine. Suitable for labeling of bottle, these labeling machines are provided in various specifications in order to meet the variegated needs of clientele. Along with that, these labeling machines are quality tested on numerous parameters by our accomplished professionals. Backed by our flourishing business processes, we are able to manufacture, trade, retail, distribute, import and supply a flawless quality grade of Sleeve Labeling Machine. The given range of labeling machine is designed with utmost precision using latest technology and high quality material. We are offering this labeling machine in several specifications. 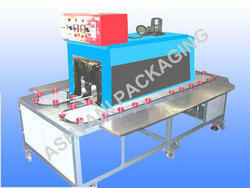 This labeling machine is designed with high precision in order to fulfill the market norms. Owing to our expertise in this domain, we are engaged in manufacturing, trading, distributing, retailing, importing and supplying optimum quality Rotary Types Sleeve Labeling Machine. We design this labeling machine with highest precision using finest grade material. Our offered labeling machine is designed according to the latest market trends & provided in various sizes and other related specifications. Along with that, our patron can avail this labeling machine from within a given time frame to them. Sleeve Labeling machine suitable for bottle, etc. It’s a high speed of sealing machine and high equipment sealing. The complete process is visible & is furnish . The automatic process of shrinkable bottle . 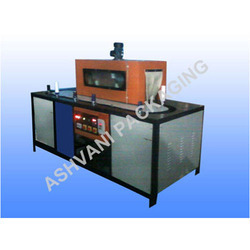 We are provide very high quality of heat-sealing machine and branded Sleeve Shrinking machine. It’s very easy used. Looking for Sleeve Labeling Machine ?